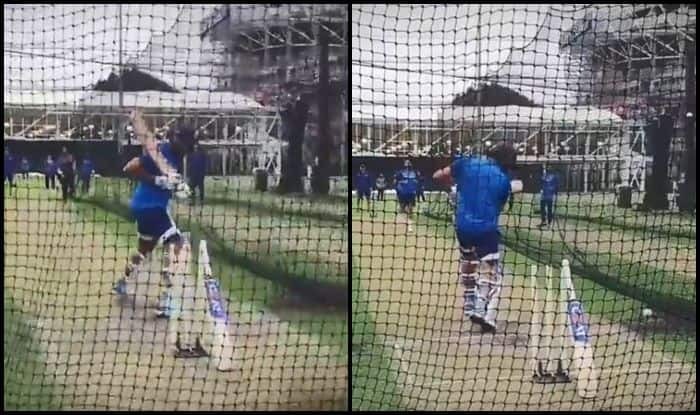 India vs Australia 2019 ODIs: India opener Rohit Sharma looks in fine touch in the net session that India cricket team had on Thursday morning. India vs Australia 2019 ODIs: India opener Rohit Sharma looks in fine touch in the net session that India cricket team had on Thursday morning. Sharma, who was a part of the Test side had left for India as he had become a father and now he seems all geared up for the white ball format, his preferred ground. Rohit was leaving balls well and also stroking them from the middle of the bat in the nets, which showed that he is seeing the ball well and that could augur well for the Indian team. MS Dhoni has also joined the sie for the three-match ODI series and he will bring a lot of experience to the table which will help in the limited overs schedule that beckons team India.